Are you looking for a diet which promotes rapid weight loss? The keto diet for women ranks as the 13th best out of 40 diets in this area. It is also helpful with menopause symptoms and overall health in middle-aged women. Keep reading to learn more about the weight-loss and health benefits you can achieve. The ketogenic diet has been around for almost 100 years. It has successfully treated children with medication-resistant epilepsy. Dr. Atkins introduced his very-low-carbohydrate diet in the 1970’s for weight loss in his cardiology patients. He found that, when they lost weight, they kept it off. Atkins is Keto by mistake… the big difference is protein consumption should be somewhat limited. A normal diet that has a moderate to high carb intake causes the body to use glucose as its fuel source. The theory behind the keto diet is that eating low carb foods and not consuming too much protein will help your body not rely on glucose for energy but rather ketones. Women’s bodies are unique in many ways. And, as with every weight loss plan, there is not a one-size-fits-all diet. There are many approaches to the ketogenic diet but most need adjustments for women to meet their dietary requirements. The keto diet is one of the best diets for women for rapid weight loss. But it is restrictive regarding food choices. You can become deficient in some nutrients. Check with your doctor before beginning to determine if you need a multi-vitamin or another supplement. Women face issues such as menopause, hormone imbalances, anemia, and osteoporosis. Making a diet plan that evolves to meet a woman’s changing nutritional needs is important. Choosing foods that are rich in calcium, iron, magnesium, vitamin D, and vitamin B9 (folate) will ward off any deficiencies during dieting. What works best for one woman may not be the best for another. It’s crucial that you make your dietary choices around your individual nutritional needs. These can include improving your energy, fighting stress, reducing PMS symptoms, or easing the symptoms of menopause. Following a consistent meal plan can help you remain healthy and energetic throughout each stage of your life. There are many women who benefit from adopting a keto diet. Most people turn to it for weight loss, but it can improve a woman’s overall health as well. Women who experience any of the following conditions may see improvements. A low carb, high fat diet for women helps to increase satiety and decrease hunger. 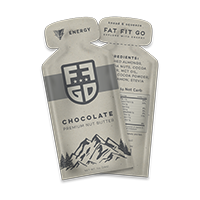 Consuming products such as Fat Fit Go that contain the right amount of nutrients and that taste great boost compliance. You can take them anywhere you travel as a healthy snack when you’re on the go. Is the Keto Diet Safe? Or Should I Consult My Doctor? Keto for women is a safe and useful tool for weight loss when followed by a physician. Medical support provides an extra safeguard to ensure your success with the diet. Monitoring glucose levels and blood pressure readings increase your sense of well-being as well as your mood. 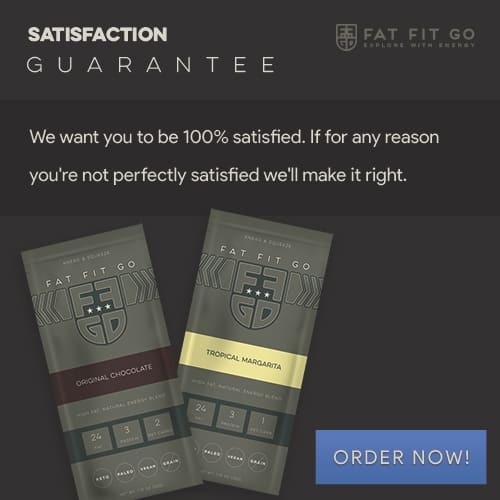 Do you still have concerns about trying the keto diet? Research studies show that a low carb diet for women has a sound scientific basis for effective weight loss and improvement in other health disorders. Did you start a keto diet but got discouraged in the beginning by fatigue and low energy levels? Your body is going from using glucose as its main energy source to ketones. The first couple weeks may be tough as your body adjusts. A few simple tricks will help alleviate the side effects. Hydration with water or herbal tea is critical to the success of this diet. Dehydration will make you feel sluggish and lightheaded. The tried-and-true advice of a consistent sleep and exercise routine also helps to reduce unwanted side effects. + Electrolytes. Check out this post to learn more on supplements help. Can you make the keto diet work for you? The answer is a big, resounding yes! Planning and preparing meals will take some time before you feel confident in your food choices. But once you know the foods you can choose that satisfy you it will become second nature. Making dietary choices that are keto foods is one of the main tips for success. These are foods that are very low in carbs. The recommendation for total daily carbs is different for everyone but you’ll need to get a very limited amount. You must be vigilant about planning meals and make the correct food choices. Using a calorie-tracking app as well as a food scale helps to maintain a log of all the foods you eat. It’s easy to forget some of the calories you eat if you don’t keep a record of them. This can slow your weight-loss progress. You may find it discouraging that many of your favorite foods have too many carbs that exceed the daily limit. And avoid foods like fruits and starchy vegetables packed with carbs. See below for a list of foods you can indulge in and some to avoid. The key here is to not get discouraged. As you learn more about the ins and outs of the diet, you will develop your own eating style that works for you. Planning your meals ahead of time will take away a lot of the anxiety surrounding what to eat. It may be helpful to find a support group nearby or an online group where you can have questions answered and see other’s successes. Inspiration from fellow dieters will give you encouragement when you’re struggling. Weight loss is unpredictable in the first weeks of the keto diet. Your calorie needs change each day. And the amount you eat won’t be the same on any given day. This means that weight loss results won’t follow a set pattern. There will be times that you don’t lose any weight. And then the next week you may lose 4-5 pounds. The answer to long-term weight loss is patience, being consistent with your plan, and staying positive through the struggles. Losing an average of 1-2 pounds per week is an acceptable goal for weight loss. Maintain what you’re doing once you have reached this target. You may need to make adjustments to your diet if you plateau or stop losing weight. An option to begin losing weight again is intermittent fasting. Fasting for a chosen amount of time will jump-start your body to burn all its glucose reservoirs and get you back into ketosis. Finally, decreasing the stress in your life will go a long way in maintaining ketosis. Yoga, mindfulness meditation, and deep-breathing exercises are great relaxation techniques. A keto diet for women is an alternative way to treat certain health conditions through diet and rapid weight loss. Many physicians suggest including low carb fresh fruits and vegetables such as leafy greens as much as possible.